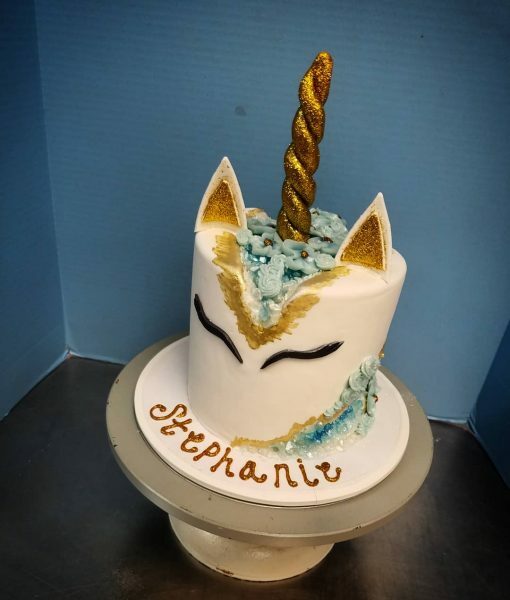 Introducing our Geode Unicorn Cake!!! 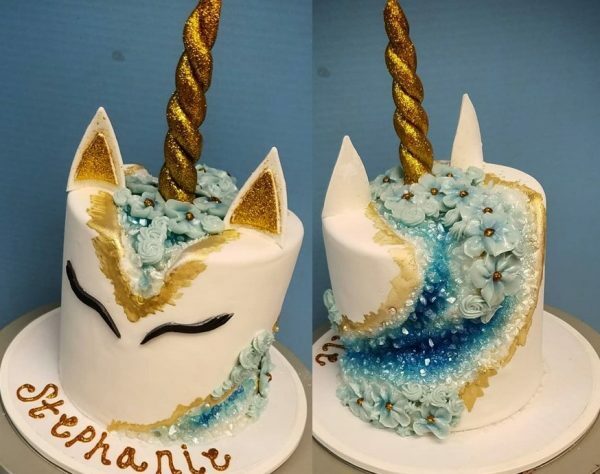 Forget Diaper Cakes for Baby showers, or Emoji or Drip Cakes for Birthday cakes and instead consider a Geode Unicorn cake. 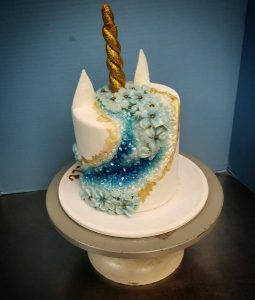 Unlike other unicorn cakes we have done this one features a deep aquamarine colored sugar geode, a unique feature to one of the most popular cakes of the year. From Denver’s #1 Nut Free Cake Bakery…The MAKERY Cake Company!